Test oscillator of voltage fluctuations, harmonics, interharmonics and frequency changes. IEC 61000-4-14, IEC 61000-4-28, IEC 61000-4-13, IEC 61000-4-11. 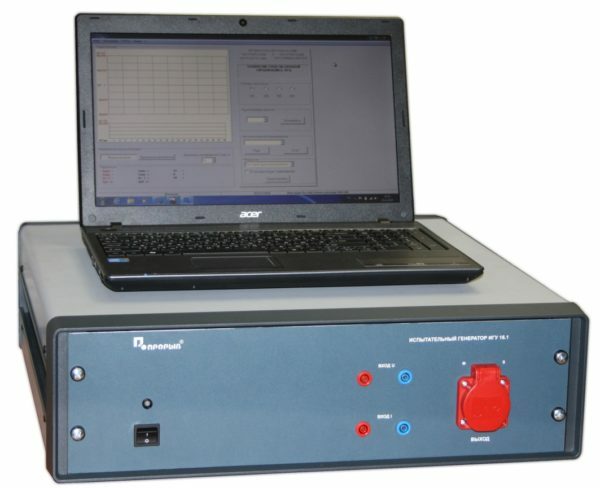 Test oscillator IGU 16.1 is designed to generate a specified voltage fluctuations changes value, voltage frequency, harmonics, and interharmonics changes at 220 V; 50 Hz circuits when making tests of technical equipments in compliance with GOST R 51317.4.14-00, IEC 61000-4-14-99, GOST R 51317.4.28-00, IEC 61000-4-28-99, -01, IEC 61000-4-13-99, GOST 30804.4.11-2013 and IEC 61000-4-11-99 to the extent applicable to gradual voltage change, GOST R 50009-00 (UK 5) and NPB 57-97 Table 4.